The Ryedale Festival welcomes outstanding performers from all over the world, both established and emerging, to perform a wide-ranging and distinctive programme in the many spectacular venues in and around Ryedale, North Yorkshire – an area full of history and natural beauty. The Festival enjoys a large, loyal and enthusiastic audience, the warm support of the local community and a reputation as one of the most exciting and enterprising in the country. Events range far and wide across the area and performances are given at the great houses of Castle Howard, Hovingham Hall, Duncombe Park, Birdsall House and Sledmere, as well as in Ampleforth Abbey, York Minster, Scarborough Spa and many other local venues. There is also a popular series of Coffee Concerts given in the many beautiful, often remote, country churches of North Yorkshire and a series of literary events, talks, exhibitions and workshops. Broadcasts on BBC Radio 3 have brought the festival to a national audience, while the Ryedale500 ticketing initiative and a series of workshops and masterclasses offer opportunities to a new generation of music-lovers in North Yorkshire. 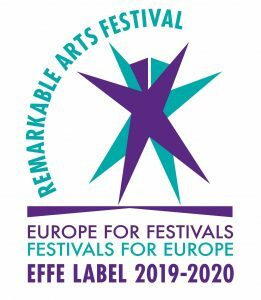 Among many exciting and ambitious plans for the future, the festival has recently developed long-term partnerships with Opera North, Royal Northern Sinfonia, the Orchestra of the Age of Enlightenment, BBC New Generation Artists and the Hallé Orchestra.